WHEN Alina Cojocaru and Johan Kobborg join The Australian Ballet in Sydney for two performances of Manon in April it will be their first appearance with an Australian company, but their second time in Australia together and Cojocaru’s third visit. She danced in A Midsummer Night’s Dream with Hamburg Ballet in Brisbane in 2012. In 2002 the Royal Ballet visited Sydney under the directorship of Ross Stretton – he was David McAllister’s predecessor in the equivalent role at the AB – when the dancers were relatively new members of the company. Cojocaru had just turned 21 but was already a principal dancer and considered one of the most wondrous artists to grace the international stage. Because of her youth she still had important roles to add to her repertoire, and it was in Sydney that she danced her first Odette-Odile. In the following 12 years reviews for the pair have only got better. Kobborg, now 41, is still dancing at the highest level with the best companies – he guested with San Francisco Ballet in January, partnering Maria Kochetkova – but is diversifying his talents widely. He also stages ballets, choreographs (including a captivating Giselle co-choreographed with Ethan Stiefel last year for Royal New Zealand Ballet) and a month ago took up the post of artistic director of Romanian National Ballet. At 32, Cojocaru is in her prime. The current standing of both is testament to their ferocious commitment to the art of ballet. They do not submit to the status quo. Ballet knows no borders these days. There have, of course, always been artists who have accepted guest roles around the world, but activity in this area has become a whirlwind – at a certain level. The starriest names in ballet are pursuing fresh inspiration and experiences around the globe. If one company can’t provide everything these superlative dancers need, they’ll find others that can. Last year the AB hosted American David Hallberg, widely considered the world’s reigning male classicist, and stratospheric Russian pair Natalia Osipova and Ivan Vasiliev. This year those fortunate enough to be in Sydney at the evening performance of Manon on April 19 and on Tuesday April 22 will see Cojocaru and Kobborg. Riches indeed. Cojocaru and Kobborg caused a huge stir in the UK last year when they abruptly left the Royal Ballet after more than a decade. Their departure was announced just two days before their final London performance (a Tokyo tour shortly afterwards marked the absolute end), causing consternation among fans and ballet critics. The dancers are deeply loved and their longstanding stage partnership – an increasingly rare phenomenon – is hailed as one of the art form’s greatest. Despite her eye being equally focused on the future, Cojocaru’s Sydney debut in Swan Lake remains a treasured experience. 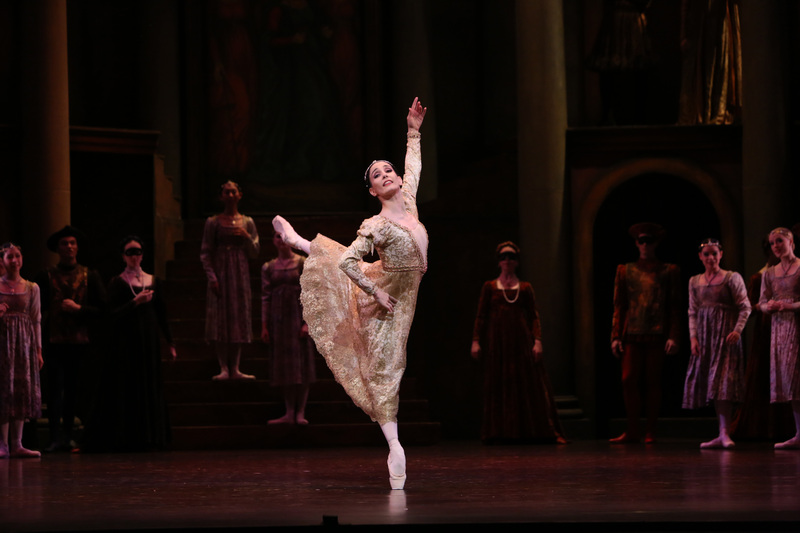 “I was very lucky and happy that Ross Stretton had asked Natasha Makarova to work with me on this role. 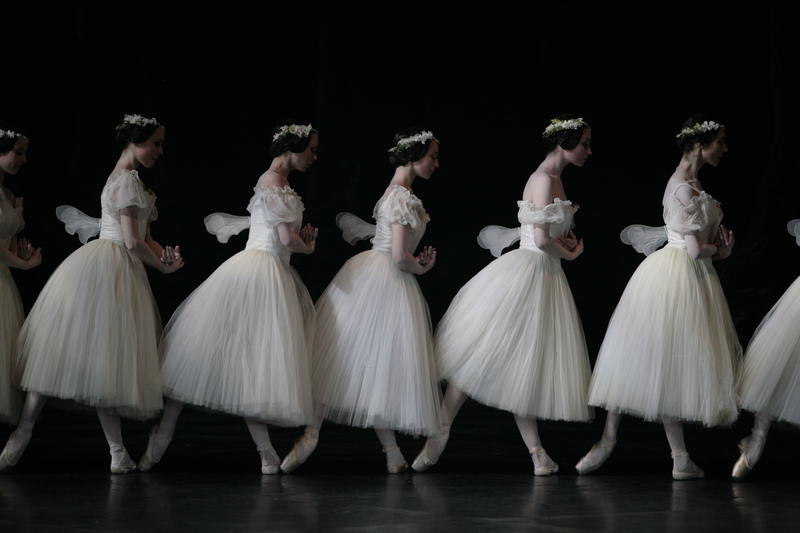 And for me it is [the] most special memory of this ballet ever. “After that tour, we had a few attempts to come back dancing in Australia … but I guess things do happen when they are meant to and it looks like now is [the] right time for it. I am really very excited about coming back to a place where I have such wonderful memories of our shows there with Johan! 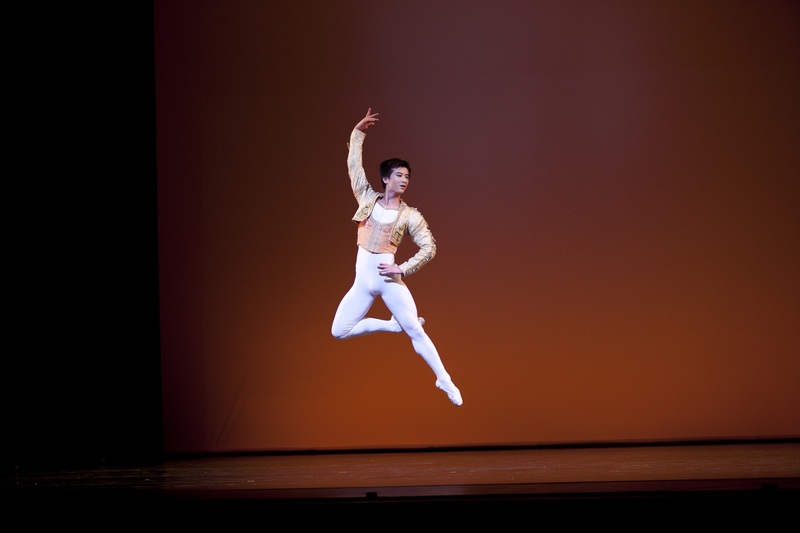 While his artistic directorship is his priority, Kobborg said he is able to plan around the job to continue his onstage career. “I started a month ago and had known about it for about two months before that,” he says. “It was not something I applied for, it was not something that was planned.” For that reason he still had – and has – dancing commitments in the diary for up to 18 months. He may withdraw from a few things, but says of the AB visit: “Manon is a ballet very close to me and Alina. There was no question about it,” says Kobborg. This year the AB doesn’t have the superstar power all to itself. 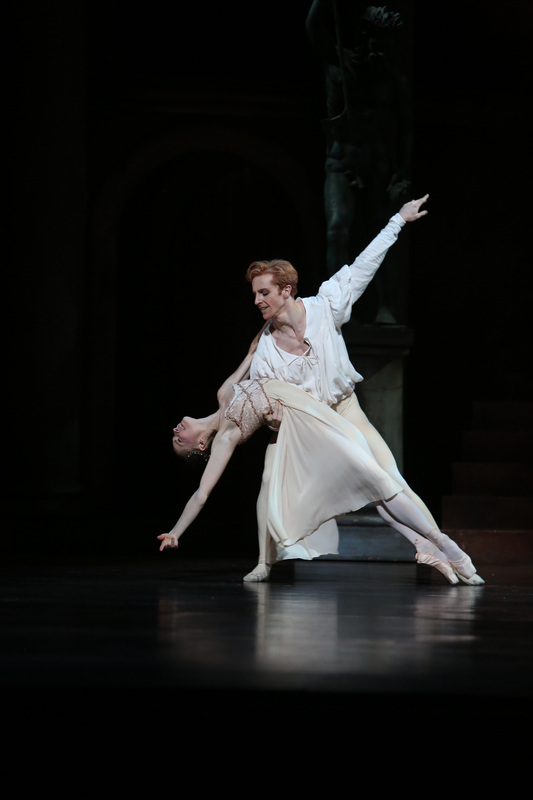 Performances of Kenneth MacMillan’s Romeo and Juliet by the resurgent Queensland Ballet in June and July will feature RB principals Carlos Acosta and Sydney-born Steven McRae as well as Tamara Rojo, who also happens to be Cojocaru’s boss at ENB. Like Kobborg she is an artistic director who continues to perform. Further proving ballet’s current fluidity, Brisbane-born AB principal artist Daniel Gaudiello also guests with QB. The Sydney season of Manon runs from April 3-23. Cojocaru and Kobborg appear on April 19 and 22. 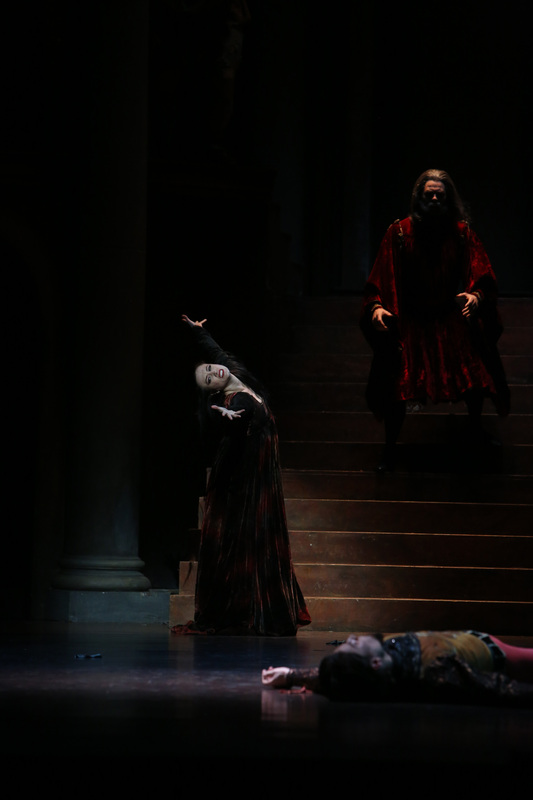 The Melbourne season of Manon runs from March 14-24. A version of this article ran in The Australian on March 3. LAST year it was easy to point to the events in dance one thought would be unmissable (not so very many) and theatre (vast amounts). Mostly performances and productions delivered pretty much what one thought they would and moments of transcendence were few, but I guess they always are. Sydney Theatre Company’s Waiting for Godot, Griffin Theatre Company’s The Floating World and Nature Theatre of Oklahoma’s Life and Times (for the Melbourne Festival) are among the shining few, and opera offered tremendous occasions in Opera Australia’s Ring cycle and Pinchgut’s Giasone. This year is a bit harder to read, particularly in theatre. There’s a handful of sure things – well, likely sure things, if that makes any sense at all – alongside some more intriguing propositions. Note that I’m only talking about Sydney theatre because that’s where I see most in this art form. Otherwise I get around a bit. The events are in chronological order – which incidentally reveals a few unfortunate clashes for the dedicated dance fan – American Ballet Theatre’s Swan Lake (Brisbane) and The Australian Ballet’s La Bayadere (Melbourne) open August 28; West Australian Ballet’s La fille mal gardee (Perth) and ABT’s Three Masterpieces triple bill opens September 5. Akram Khan’s DESH opens in Brisbane on September 6. Dido & Aeneas, Sasha Waltz & Guests. From January 16, Sydney Festival. Purcell, the Akademie fur Alte Musik, singers, dancers and a huge tank of water. Patyegarang, Bangarra Dance Theatre. From June 13 in Sydney, then Canberra, Perth, Brisbane, Melbourne. Stephen Page’s new work on the meeting of minds between Lieutenant William Dawes and Patyegarang, a young indigenous woman, in colonial Sydney. 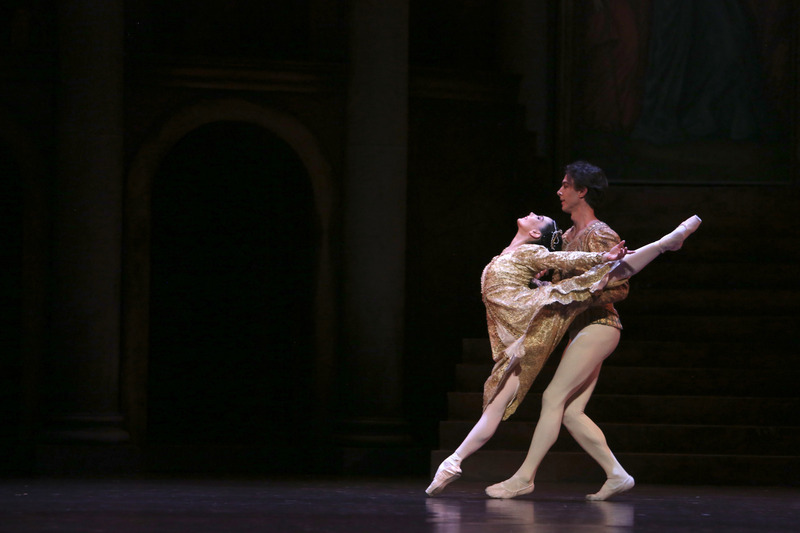 Romeo and Juliet, Queensland Ballet. From June 27, Brisbane. Kenneth MacMillan’s version (the best in my opinion) and guest stars Carlos Acosta, Tamara Rojo, Steven McRae and Daniel Gaudiello. The Red Shoes, Expressions Dance Company, from July 18, Brisbane. Choreographer Natalie Weir tackles this much-loved, influential – albeit rather creepy – story of obsession in the ballet world. Intriguing. American Ballet Theatre, from August 28, Brisbane only. First up is Kevin Mackenzie’s Swan Lake, but I’m more interested in the triple bill, which includes Twyla Tharp’s Bach Partita, which was recently revived by ABT after a 28-year hiatus. From September 5. La Bayadere, The Australian Ballet, from August 28 in Melbourne, then Sydney. Choreographer Stanton Welch promises Bollywood colour and energy and a clearer, speedier version than usual. The beloved Kingdom of the Shades scene will, of course, be as expected. La Fille mal gardee, West Australian Ballet, from September 5. This sweet and sunny ballet, updated to 1950s rural France, is seen in Perth and then will go to Queensland Ballet in 2015. QB’s Coppelia, choreographed by ballet master Greg Horsman (opening April 24 this year), goes to WAB next year in a sensible sharing of resources. DESH, Akram Khan, from September 6, Brisbane Festival. I have longed to see this since its premiere and missed it at the Melbourne Festival in 2012. This is one occasion on which I won’t rail against the tendency of arts festivals to program work from a fairly small (admittedly stellar) group of dance artists. Noises Off, Sydney Theatre Company, from February 17. I first saw Michael Frayn’s brilliant farce about 30 years ago and laughed like a loon. The memories are vivid; let’s hope they can be matched – surpassed even! – by this new production. Ganesh versus the Third Reich, Back to Back Theatre, Carriageworks, from March 12. At long last Sydney gets to see this hugely admired work. Hedda Gabler, Belvoir, from June 28. Ash Flanders will star. And yes, he’s a bloke who often performs in female guise. Flagrant nicking of a role a woman should have or a revelation? We shall see. Macbeth, Sydney Theatre Company, from July 21. STC is giving over the auditorium of the Sydney Theatre to the actors and putting the audience on the stage. Hugo Weaving stars. Sounds promising, no? Emerald City, Griffin Theatre Company, from October 17. David Williamson never really went away, despite the protestations of retirement, but he’s having quite the resurgence these days (Travelling North gets things moving at STC from January 9). Madama Butterfly, Handa Opera on Sydney Harbour, Opera Australia, from March 21. No explanation required. Strictly Ballroom the Musical, from March 25, Sydney. No explanation required. The King and I, Opera Australia and John Frost, Brisbane, from April 15, then Melbourne and Sydney. I saw this lovely production when it premiered in 1991, directed by Christopher Renshaw, designed by Brian Thomson and with frocks by Roger Kirk that got their own applause. There’s no reason to think it won’t be a winner again, particularly with Lisa McCune rather than Hayley Mills as Anna. Into the Woods, Victorian Opera, Melbourne, from July 19. Stephen Sondheim. Say no more. The Riders, Victorian Opera, Melbourne, from September 23. New Australian opera from Iain Grandage with libretto by Alison Croggon, based on Tim Winton’s book.